HOUSTON (KTRK) -- It's the return of high school football! 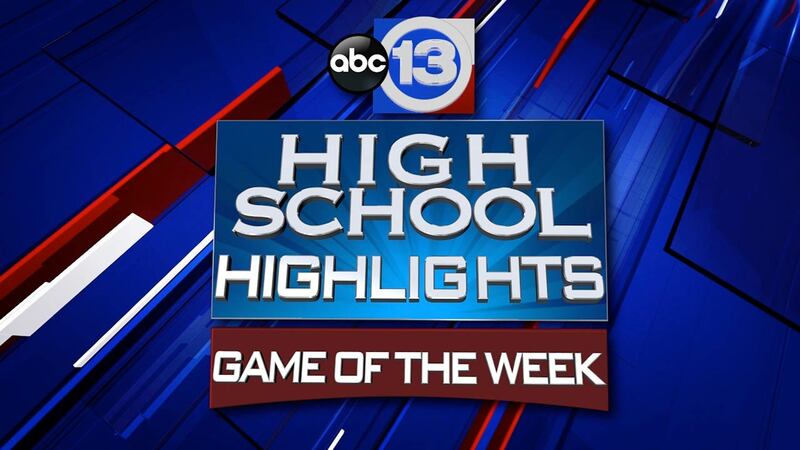 Take a look at abc13's high school football top 10 below. Episcopal opened their season in Beaumont against Ozen on Saturday. Episcopal opened their season in Beaumont against Ozen. Lots of eyes on the Knights' 5-star recruits Marvin Wilson and Walker Little, but the running back Jake Levrier stole the show. Levrier (12) carries for 219 yards and 2 scores, this one from 83 yards in the 1st quarter. Episcopal with 464 yards of total offeense. Gavin Gieb, efficient in the air 7 of 9 for 194 yards and 2 TDs. Both scores went to junior Jaylen Waddle - 4 catches for 100 yards. Now to the defense - Knights held Ozen to -15 yards in the 1st half, only allowed 57 yards of total offense in the game. Marvin Wilson lived up to the hype - a sack, 7 tackles for loss and a pass deflection that was intercepted by Jack Grams. Episcopal led 45-0 at half; they went on to win 58-0.